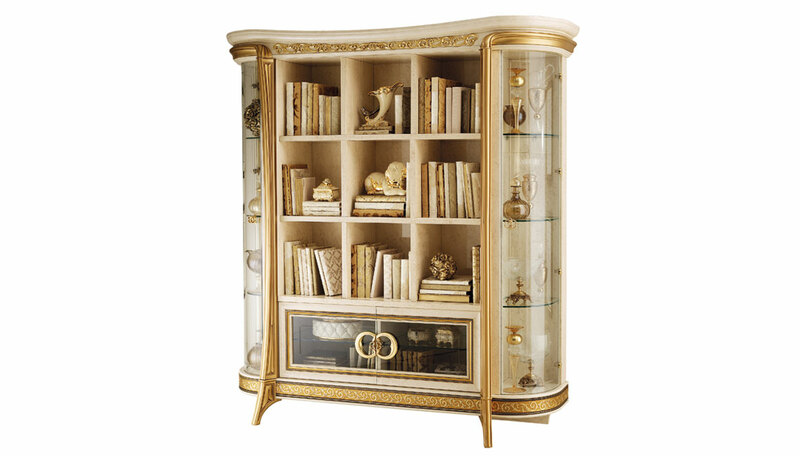 The Melodia bookcase which perhaps more than any other feature combines beauty, functionality and elegance. A bookcase should be a housing solution but Melodia collection proposal also manages to amaze. Its semi-circular lateral cabinets make it the perfect scenic backdrop for your office or study. The golden embrace of the lateral bordering opens up into a central frieze at the top of the arrangement – crowning a soft and refined design to give you all the luxury you deserve.